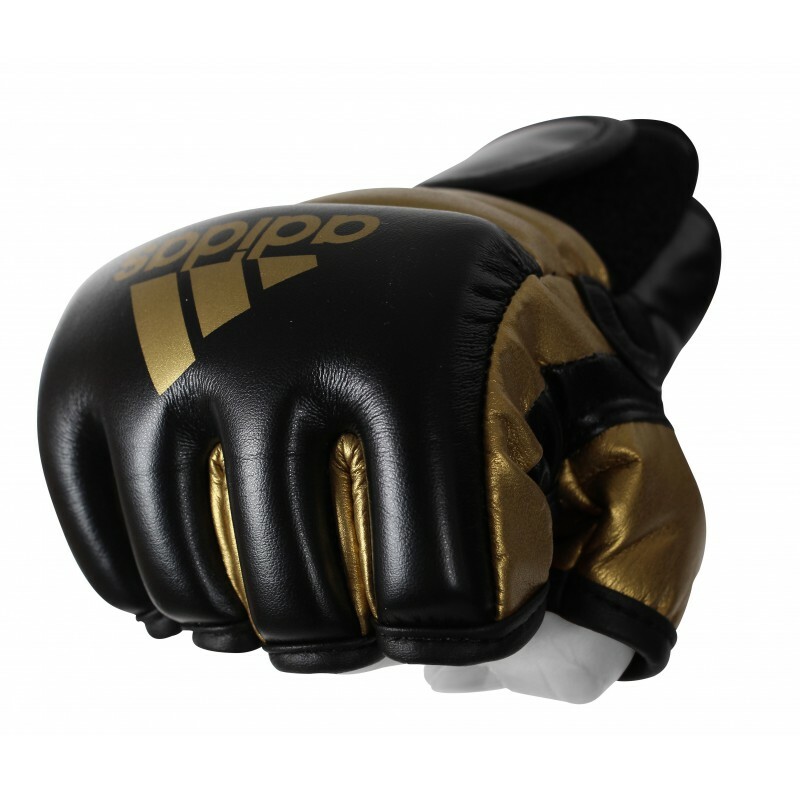 The MMA Speed Training Gloves are crafted with tough engineered leather for optimal performance and longevity. Layered pre-curved impact resistant inner foams are evenly distributed over the fist and back of the wrist to deliver ideal shock absorption and protection. ClimaCool palm and insets allow hot air release during training, helping to keep athletes cool and dry. Full wrap around wrist strap for added support and security, with added Velcro assurance. Open palm design is preferred by elite athletes and offers ideal, uninhibited movement and grip. Includes a moisture-wicking inside hand liner to keep athletes comfortable during intense training. Designed for MMA training, grappling and bag workouts.